Knitwear and jumpers are essential garments when it’s cold outside. we can offer you a wide range of fashionable corporate suits for men and women. Knitwear and jumpers are essential garments when it’s cold outside. 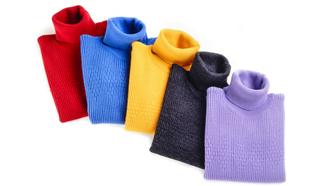 At APS we can supply you with ladies and men’s sweaters, cardigans and V neck sleeveless tops for men, which can be worn as a casual knitted item or as part of a more professional corporate look. More staff uniforms are utilising knitwear as part of their uniform supplied to employees, especially if you want to portray a more professional look and move away from the traditional sweatshirt. Embroidery and knitwear work so well together when you want to add your company logo or message. We embroider high quality log's because we use state of the art multi-head embroidery machines to achieve a flawless, professional look, to you logo. Get in touch with us today to discuss your requirements and let us help you to make your brand or your team stand out from the rest!